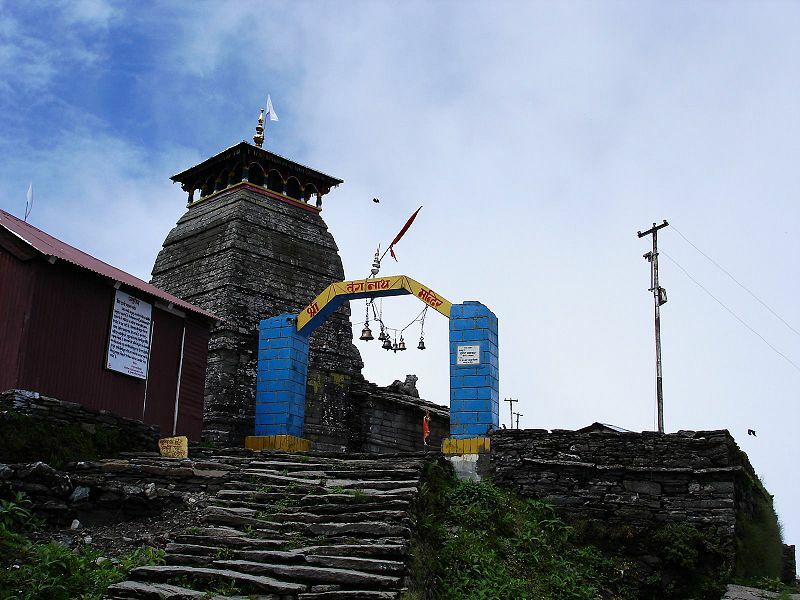 Situated in Rudraprayag district of Garhwal region in Uttarakhand, Chandrashila peak has the highest Shiva temple in the world, situated in Panch Kedar Tungnath at 12,000 Feet. 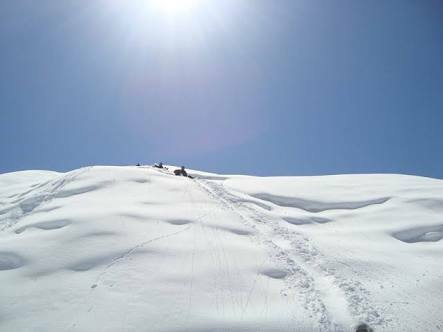 This is a beautiful trek, with difficulty level rated as moderate, the trail passes through forests and vast meadows, and offers excellent views of snow clad Himalayas. With a 360 degree view on top, you can see Chaukhamba, Kedarnath, Nanda Devi and Trishul peaks from the distance. This place is also good for skiers who call it as mini Switzerland in winter. Chandrashila is a beautiful vantage point to experience Himalayas in a wide spectrum with the visibility of the entire Kedarnath range all around. Meet up at Haridwar Station by 7:00 - 7:30 am in the morning. A cab will be hired to drive to Chopta (cab expense will be shared among all the participants at actual). The drive will take around 8 hours form Haridwar. Over night stay in tents in Chopta. Early in the morning after breakfast, the trek stretches through a dense green forest and ridges. Spend some time exploring the surroundings. Trek back to Chopta followed by Dinner and overnight stay in the tents. 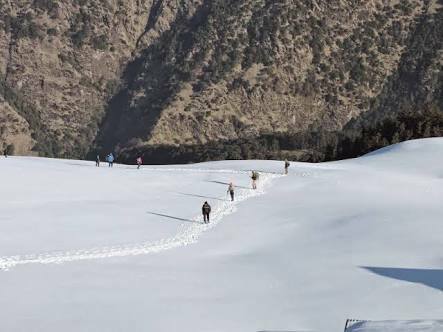 We will start early in the morning after breakfast and climb up the cemented pilgrim path up to the Shiva temple of Tungnath which is at the height of 12,000 Feet. From Tungnath, the trek continues till Chandrashila Peak. After resting and exploring at the summit, we will come back to Chopta to stay overnight in the tents. After the Breakfast, we will start the drive back to Haridwar railway station in a cab. (cab expense will be shared among all the participants at actual). 1] There is a different permission charge for Foreigner & the difference amount should be paid by the participant on spot. 3] We advice you keep a extra day and plan your travel because the weather in the himalaya is unpredictable. 1. Nutritious Vegetarian food will be served. 2. Guides for the trek who will meet the group at Rishikesh and will be present with the group through out the trek. 4. Cook and Camp helpers. 5. Tented / Lodge Accommodation with Sleeping Bag. 5. Camera fees if any. 7. Horses with horsemen to carry your loads on the route. Itinerary can be changed, in case of snow, rainfall and landslides.